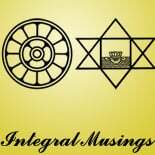 An important intellectual movement of the twentieth century is the rediscovery of some of the ancient spiritual insights in and through the new discoveries of New Physics, triggered some sort of a courtship between eastern religions and modern science and initiated one of the most interesting enquiries of our age. Some of the modern scientific thinkers in new physics have found to their surprise that the new discoveries emerging in their field leads to a world-view which has a striking similarity to the world-view of eastern religions. This series of article is a comprehensive review of the discoveries of New Physics in the light of eastern perspectives. For a clear understanding of the confluence between emerging science and Eastern insight we need a brief and relevant synopsis of the Eastern world-view which can serve as a basis of reference for our studies on this subject. The insights of Eastern yogis perceived an unbroken and interconnected unity behind the apparent diversity of the universe spread-out in Space and Time; A unity in which the whole is potentially involved or present in each part. But the Eastern Yogis also perceived a divine Reality beyond Space and Time which is the foundation and essence of this unified diversity in Space and Time. These insights are common to Hinduism, Buddhism and Taoism, three great spiritual traditions of the East. But Hindu sages perceived the nature of this Reality as a unified field of Consciousness – Energy Chit-Sakthi. The cosmic diversity in space is projected from, held together and governed by this unified field of consciousness-energy which is at once immanent within and transcendent beyond Space and Time. Laws of Nature are the expression of this consciousness-energy. Individual and the Universal and all that is in the individual and the universe, physical and psychological, are the expressions of the Energy of Consciousness. Matter, Life and Mind are the manifestation of the consciousness-energy of the supreme Reality. Thus Consciousness is omnipresent; it is there in the “inanimate” matter and in the plant; they may not be conscious in the way an animal or man is conscious; consciousness is less organised and outwardly apparent in the stone and in the plant than in the animal or man; but it is not absent; it is present in a rudimentary form. The phenomenon of evolution in this Indian perspective, is primarily an evolution of consciousness; a progressive manifestation of the consciousness involved in Matter; it emerges first in the biological kingdom as the vital responses of the plant life, then in the sensational consciousness of the animal and finally as the self-conscious Mind and Reason in Man. But according to Sri Aurobindo, Mind is not the summit of evolution. The rational mentality is not the highest aim of evolutionarily Nature. She is already marching forward towards her next great step in evolution, which is to evolve a supra-consciousness beyond mind. And the enlightenment – experiences of the yogic and mystics all over the world give a glimpse of the nature of the higher consciousness which Nature is proceeding to evolve and generalise in the whole of humanity. We have presented here a panoramic and coordinated vision of the Eastern world-view – rather an aspect of it – derived from the insights of Eastern sages. The world – view of modern science is moving closer and closer to this eastern vision. Let us examine how far and to what extent New Physics is coming closer to eastern spirituality. “According to Einstein’s ultimate vision …. a piece of matter is a curvature of the space-time continuum … There is no such thing as matter, matter is a curvature in the space-time continuum. There is not even such a thing as energy-energy equals mass and mass is space-time curvation…. There is nothing but space-time and motion and they, to effect are the same thing. Here is a presentation in complete western terms of the most fundamental aspects of the Taoist and Buddhist philosophies”. “Subatomic particles are then not “things” but interactions between things and these things in turn, are interconnections between things and these ‘things’ in turn are interconnection between other things and so on. In quantum theory, you never end up with things, you always deal with interactions”. This perception of modern science is very much in harmony with the eastern spiritual insight into the unity of existence. Sri Aurobindo explains this eastern spiritual insight with the example of a tree. “The tree and its process would not be what they are, could not indeed exist, if it were a separate existence; forms are what they are by the force of the cosmic existence, they develop as they do as a result of their relation to it and to all its other manifestations. The separate law of their nature is only an application of the universal law and truth of all Nature; their particular development is determined by their place in the general development”. The above passage of Sri Aurobindo, which describes one of the fundamental insights of eastern seers, throws up some interesting sidelights. Not only the interactions of energy which make the physical reality form an interconnected unity, but also the laws which govern these interaction, also form an interrelated unity. For as Sri Aurobindo points out in the above passage, the law of an individual object or phenomena in Nature is a unique particular expression of the universal truth and law of Nature. This means all the laws of Nature must be interrated, forming a unified field of laws. The other factor to be noted here is that eastern insight into the unity existence does not refer to the unity of the physical universe alone but to the much deeper spiritual unity of all existence. This spiritual unity is not only interconnectedness which is only a secondary aspect of this spiritual unity. The essential nature of this spiritual unity is an indivisible and infinite Wholeness or Oneness of being, consciousness and energy which is potentially present in every atom of the universe. Interconnectedness is only the outer dynamic expression of this deeper and inner oneness. To give a rough analogy, while the modern science perceived the interconnectedness of the waves in an ocean, eastern sages perceived the oneness and wholeness of the Ocean. In a more philosophic language, we may say that while the insight of modern science perceived the dynamic unity of the energy, Indian sages perceived the static oneness of Being and the dynamic expression of its Energy as a single undivided whole. So in the ancient Indian perception, the interconnected web of energy interactions discovered by modern science is only the outer expression, like the waves in the sea, of an indivisible ocean of vital energy, which is deeper and subtler form of energy than the physical. This energy is in turn the expression of a still deeper and subtler mental energy; and finally this mental energy is also a partial and limited expression of a spiritual energy which is the primal creative energy of the supreme consciousness. Thus all the energies in individual and the universe – physical, vital, mental spiritual – are different forms of the one indivisible consciousness-energy of the Supreme Reality. For, as we have indicated earlier, in the Indian perception, consciousness and energy are an inseparable two Two-in-One, like the Matter-Energy of modern physics. Wherever there is energy, consciousness is inherent in it. The Laws of Nature are predominantly the expressions of the consciousness aspect of the energy. We will come to this subject of the Laws of Nature a little later. We are elaborating a little bit on these Indian insights because, as we have indicated already, we have to understand clearly not only the correspondences but also the differences between ancient eastern insights and modern scientific perceptions. But it is significant that a similar pattern of unity and interconnectedness are perceived by eastern sages at the spiritual level and the western scientist in the physical level. This indicates that the Law of Unity and Interconnectedness is one of the fundamental and eternal laws of Nature valid at all the levels of the human and cosmic existence. Great post. I was checking constantly this blog annd I’m impressed! something which I think I wkuld never understand. It seems too complicated andd extremely broad for me. much about this, like you wrote the bopk inn it or something. An excelplent read. I’ll certainly be back. pertaining to providing eah of the ideas in a blog post. i’d have beeen saved the nonessential meassures we were taking. This entry was posted on June 22, 2016 by Rashmil Tyagi in Uncategorized.